Obituary for Clark "Nick" Sherwood Fitzgerald | Williams Funeral Home, P.A. Interment Update: Arlington National Cemetery - Thursday, January 31, 2019. Meet at the administration building at 1:15 PM. Grave service at 2 PM. 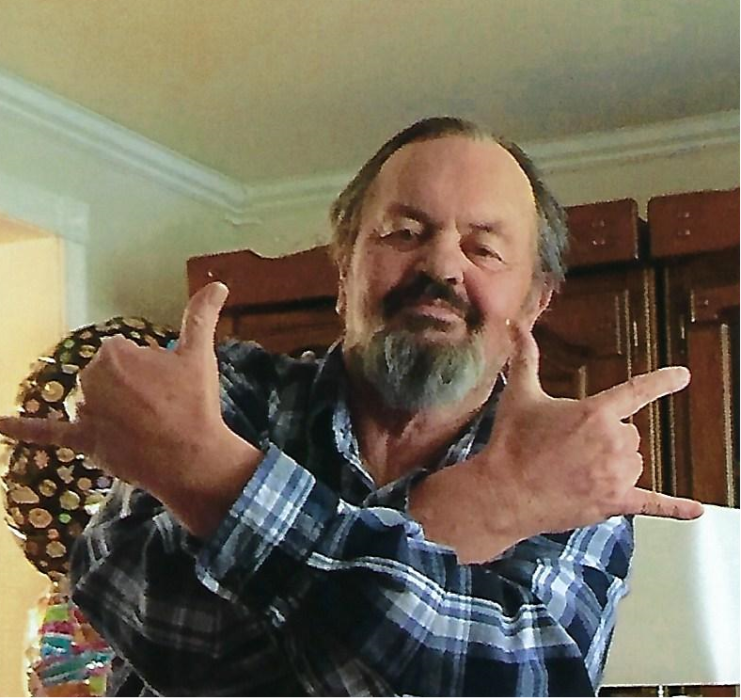 Clark “Nick” Sherwood Fitzgerald, 67, of Indian Head, MD died January 14, 2019. He was born September 15, 1951 in Lexington, VA.
Clark is survived by his wife Haroldlind Kealapulani and children: Dessire' Leilani Oladotun, married to Ibrahim Oladotun; Patrick Nathaniel Fitzgerald, married to Carol Suzanne Plater; Nikolai Kawica Fitzgerald, and Harold Richard Fitzgerald; grandchildren: Olushola (Shola) Oladotun, Oluwayemi (Yemi) Oladotun, Adeola Oladotun, Babatunde (Baba) Oladotun, Olawale (Wale), Taya Nycole Fitzgerald-Hyman, Shampayne Cooper- Fitzgerald, Kira Tatyanna Fitzgerald- Hyman, Nigeria Coates, Nikell Nikolai Fitzgerald, Destiny Leilani Fitzgerald, Jeremiah Daniel Fitzgerald, Aidan Richard Fitzgerald, Alaina Renee Fitzgerald, great grandchild: Malachi Andrews. Clark is also survived by his mother Clara Straw, his brother Cecil Lawrence Fitzgerald, married to Michele Louise, and stepbrother Richard Paul Straw II. Clark is preceded in death by his father Cecil Clark Fitzgerald, stepfather: Richard Paul Straw I, step sister: Cassandra Rose Parker, and Natasha Kealoha Fitzgerald. Clark enlisted in the US Air Force in 1973 and retired in 1993. For the past 19 years Clark devoted his life to Blue Plains Wastewater Plant, where he was a General Foreman. He enjoyed being with his family and friends, traveling with the Boy Scouts, and watching his grandson play lacrosse. He was always planning another family trip. Memorial contributions may be made to the Boy Scouts of America and the American Cancer Society. A viewing will be held at the funeral home on Thursday, January 24, 2019 from 2-4 and 6-8 PM. And at the Indian Head Baptist Church on Friday, January 25, 2019 at 10 AM until time of funeral services at 11 AM. Internment to be announced at a later date.